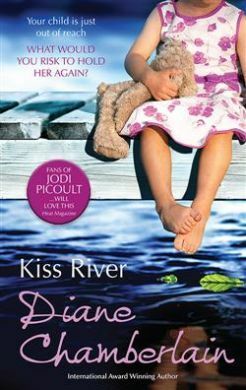 Set 10 years after the events of Keeper of the Light, Kiss River is the second of a trilogy of books by Diane Chamberlain that follows lives, losses, and loves of the residents of Kiss River, a small town in the Outer Banks of North Carolina. The first novel focused on Alec, Paul, and Olivia and how they dealt with the sudden death of Alec’s wife Annie. This time round it is Annie and Alec’s children – Clay and Lacey – who are front and centre. Plus Gina, a beautiful amateur lighthouse historian, who appears on Clay and Lacey’s doorstep – and also appears to know very little, if anything, about lighthouses. That’s because Gina’s interest in the lighthouse (or what is left of it – it was party destroyed in a hurricane at the end of Keeper of the Light) is much more personal. Fuelled by secrets revealed in the diary of the former lighthouse keeper, Gina is determined to raise the lighthouse’s lens – lost for a decade – no matter what. It is the reason she has come to Kiss River and the only reason she stays, at least until she starts to get to know Clay. Clay and Lacey, meanwhile, have secrets of their own, demons they aren’t doing too well fighting. Clay is struggling to cope with the death of his wife, Lacey with secrets revealed about her mother ten years previously. She is it seems, doomed to repeat the past, until Gina arrives and provides her and Clay with a catalyst for change. All of this leads to a book high on emotion, most of it built on secrets and lies that are bound to come out eventually, and – as with Keeper of the Light – I was drawn along. I wanted to know the truth and what happened next. This time though, I was a little disappointed when the truths were revealed, mainly Gina’s. It took the focus away from what I think Diane Chamberlain does really well – looking at human behaviour, the how and why we do things and also the fact that everyone has a chance to fix mistakes. It just felt too big and too complicated. I like simple and this wasn’t. As a result, it didn’t sit well with me and I was left liking the book not loving it. I always enjoy Diane Chamberlain’s books. Nice review. THANKS. Sorry it wasn’t a WOW book. And THANKS for stopping by my Book Blogger Hop post earlier. Diane Chamberlain is on my list of authors I must read this year though I hadn’t heard of this series. This review makes me curious about this one and Keeper of the Light. You have now added 2 books to my TBR with only 1 review! Thanks for sharing!